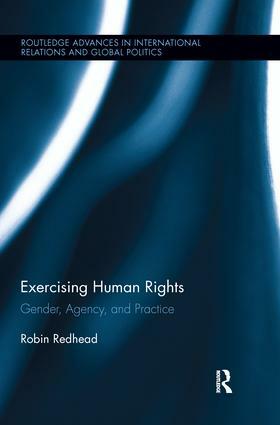 Exercising Human Rights investigates why human rights are not universally empowering and why this damages people attempting to exercise rights. It takes a new approach in looking at humans as the subject of human rights rather than the object and exposes the gendered and ethnocentric aspects of violence and human subjectivity in the context of human rights. Using an innovative visual methodology, Redhead shines a new critical light on human rights campaigns in practice. She examines two cases in-depth. First, she shows how Amnesty International depicts women negatively in their 2004 ‘Stop Violence against Women Campaign’, revealing the political implications of how images deny women their agency because violence is gendered. She also analyses the Oka conflict between indigenous people and the Canadian state. She explains how the Canadian state defined the Mohawk people in such a way as to deny their human subjectivity. By looking at how the Mohawk used visual media to communicate their plight beyond state boundaries, she delves into the disjuncture between state sovereignty and human rights. This book is useful for anyone with an interest in human rights campaigns and in the study of political images.